Like to plan in advance? 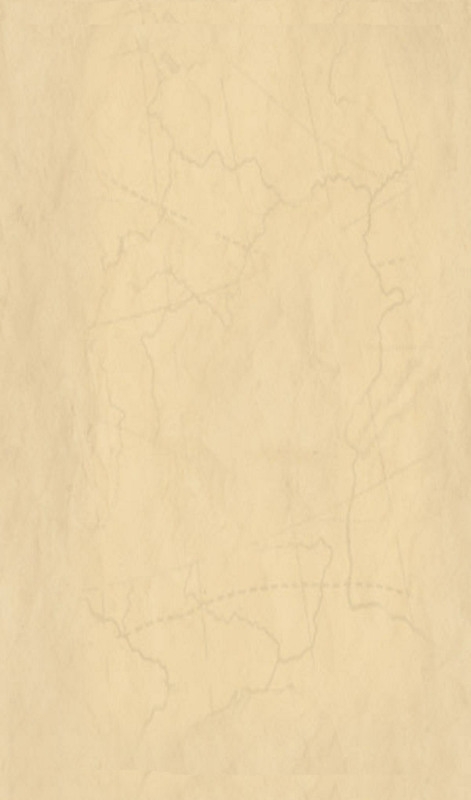 The images below show the location of a time capsule sealed by the City in 1990. 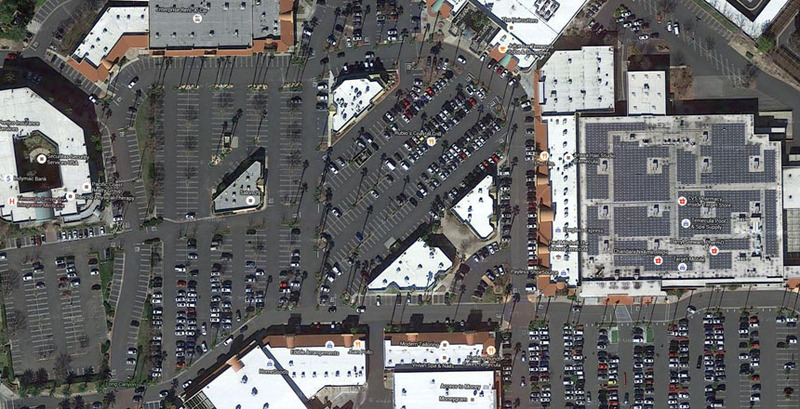 Above is an overhead view of Temecula Town Center with Target located center-right. Above is a closer overhead view with an arrow pointing to the locaton of the time capsule. 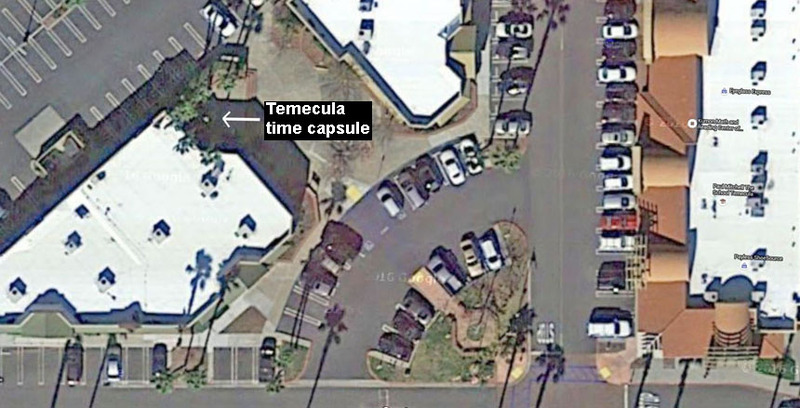 Above is a ground-level view with an arrow pointing to the locaton of the time capsule. 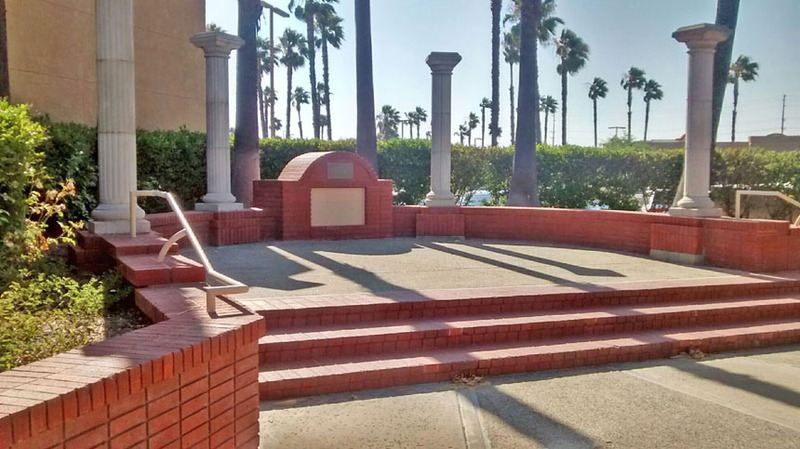 Above is a photo of the monument containing the time capsule.